Satellite-based observations provide a unique data record to study the Earth system. Recent efforts of the space agencies to reprocess the archives of satellite observations aim to provide Essential Climate Variable (ECV) data records for manifold applications in climate sciences. Varying lengths of a data record or gaps in a data time series are likely to affect the analysis results obtained from long-term satellite data records. 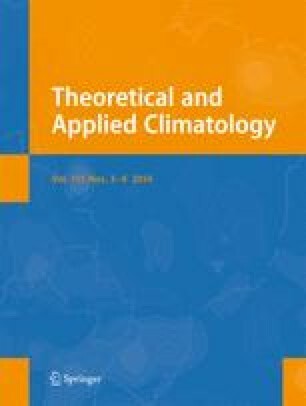 The present paper provides a systematic assessment of the impact of variations in the observational record of terrestrial ECVs for selected climate applications like trend detection and the analysis of relationships between different ECVs. As an example, the Sahelian drought and the subsequent recovery in precipitation and vegetation will be analyzed in detail using observations of precipitation, surface albedo, vegetation index, as well as ocean indices. The paper provides a different perspective on the robustness of long-term satellite observations than previous studies. It shows in particular that the long-term significant trends in precipitation and vegetation dynamics are rather sensitive to the investigation period chosen and that small data gaps can already have a considerable influence on the analysis results. It is therefore a plea for continuous climate observations from space. The author was supported through the Cluster of Excellence CliSAP (EXC177), University of Hamburg, funded through the German Science Foundation (DFG) and the ESA CCI program (nr.4000101361). Meteosat surface albedo data were provided by EUMETSAT and GIMMS NDVI data were obtained from the Global Landcover Facility, University of Maryland. The GPCP combined precipitation data were provided by the Laboratory for Atmospheres of NASA/Goddard Space Flight Center, which develops and computes the dataset as a contribution to the GEWEX Global Precipitation Climatology Project. The authors thank two anonymous reviewers for their constructive comments on the first version of the manuscript.